After weeks of recent speculation, Deadline.com reported Monday evening that Zack Snyder has been chosen by Warner Bros. to direct the next Superman film. The Hollywood Reporter stated that negotiations began earlier today. 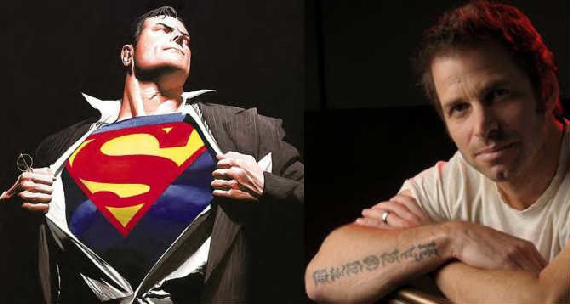 Christopher Nolan, director of Batman Begins and The Dark Knight, is a producer on Superman, and had reportedly been considering a list of candidates including Snyder, Tony Scott and Duncan Jones. David S. Goyer, whose credits include Batman Begins and a long co-writing run on DC Comics title JSA, is writing the screenplay. Sources including The Hollywood Reporter say that General Zod, the main villain of 1980's Superman II, will play a role. Darren Aronofsky was also among the list of directors considered; but it was reported last week that he's being targeted to direct a big-screen adaptation of DC/Vertigo's acclaimed mature reader series Preacher. Snyder has directed two prior comic book adaptations: Frank Miller's 300 in 2007, and the 2009 adaptation of seminal DC miniseries Watchmen. His animated fantasy Legend of the Guardians: The Owls of Ga'Hoole is now in theaters, with spring 2011's Sucker Punch his next project scheduled for release.